© Peter Doig. All Rights Reserved, DACS 2017. 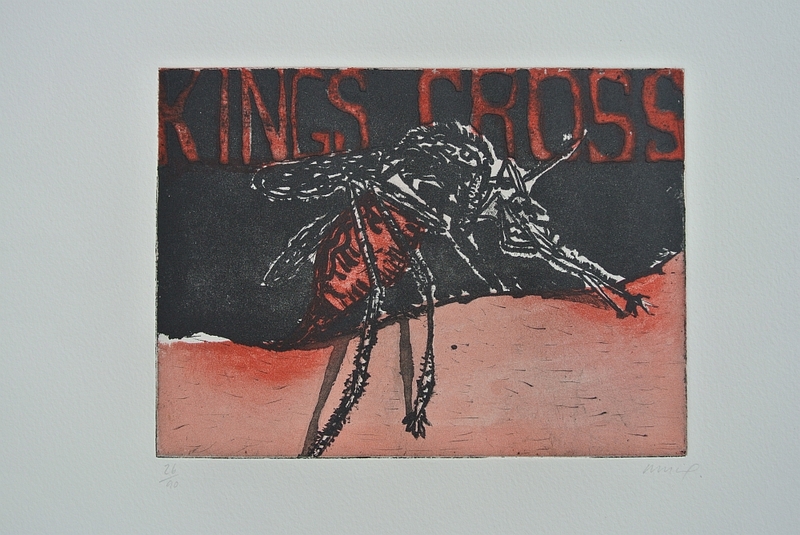 The insect chosen by Doig for this etching is one of the least appealing. The night-time predator is shown gorging on an expanse of exposed skin, the sinister shape and livid colour heightening the sense of menace. The ten works which comprise Bugs – the Print Portfolio were generously donated by the artists for publication by the Byam Shaw School of Art in London to use as a means of raising funds for post-graduate scholarships. The series was produced in 2000 in an edition of 90.